Bakers Allsorts are an exciting mixture of different flavoured dog treats which ensure your pooch will never get bored. Containing chicken, lamb, rabbit and beef flavours, these treats are all deliciously flavoured, shaped treats which are all rich in protein and have been specially developed to keep him strong and healthy. Cereals, Meat and animal derivatives (meat min. 50% , min. 5% chicken, min 0.5% beef;min 0.5% lamb; min 0.5% rabbit), Vegetable protein extracts, Various Sugars, Oils and fats, Minerals, Derivatives of vegetable origin. 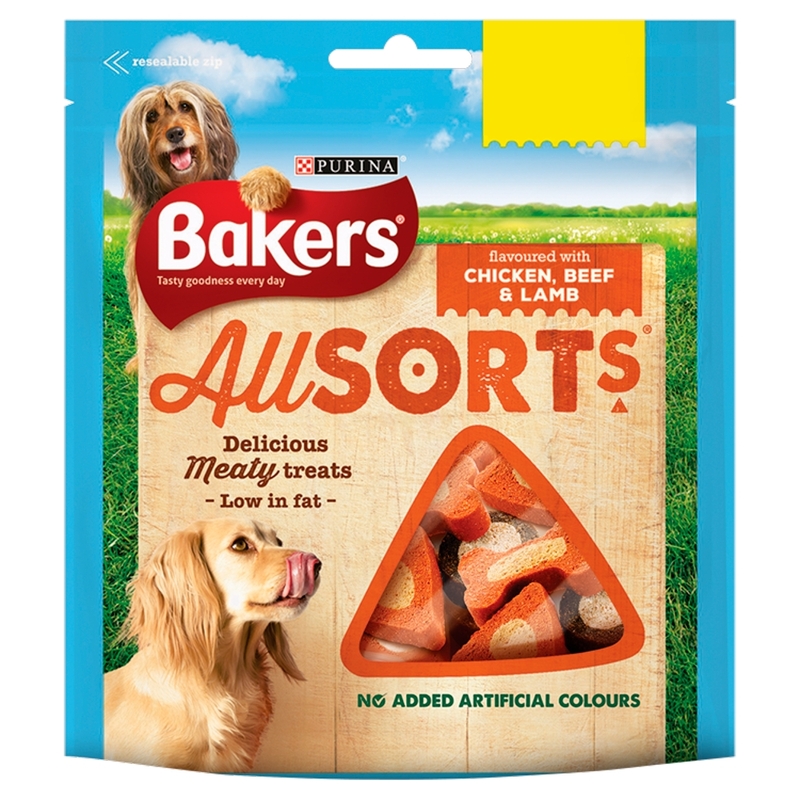 There are currently no questions for Bakers Allsorts Dog Treats - be the first to ask one!